The internet was busy this week ripping it out of the news that the Fantastic Four reboot will feature a radical reinvention of Doctor Doom. But it was Toby Kebbell's other comments that bothered me: Why is he bandying about buzzwords like 'Lo-fi' and 'Ultra-Real' like they're good things for Comic book movies? I mean, starters for ten, as Rob brilliantly pointed out, this sort of approach doesn't fit the characters that make up the Fantastic Four at all. Look at that header image - what part of any of that is even remotely 'Lo-fi' or 'Ultra-Real'? The Fantastic Four are outlandish characters in an already outlandish world, and while there's definitely interpretations of them that can soften a lot of that weirdness, that outlandish nature is a core part of those characters. 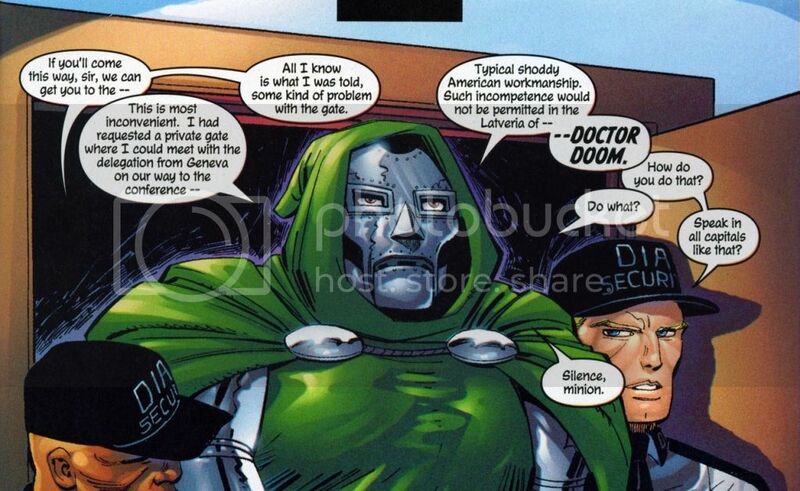 You can't make Doctor Doom 'ultra-real', he's a mad scientist/despotic ruler of a small European nation who plods about in a giant suit of armour and occasionally slips into ALL-CAPS-YELLING just because he can. He's crazy, he's over-the-top, cheesier than the dairy section of a thousand Walmarts. And rightly so - he, like Reed and Johnny and Sue and Ben, are all fantastical characters. That's what comic book superheroes and villains are. Superheroes are our modern day fantasies - I mean, they're certainly replacing traditional fantasy at the box office - our childhood tales filled with magical powers, monsters to fight, outer-space and time-travel and all these wacky ideas. That's why these characters are so adored by the young and old alike, because they tap into a different reality that we can never witness in our real lives. Who can honestly say they've never dreamt of being able to fly, or have super strength, or any other superhero power? That's ot to say that Fox are removing the team's superpowers whole hog or attempting to make them more realistic in some way during this quest for the 'Ultra-Real' - that'd be one stupid move too far, even for them. But to try and deny even some of the fantasy of these heroes goes against the very thing that people love about them. It's both a disservice to the characters, and a disservice to the audience that wants to see their heroes on the big screen the way they should be. And it's not like there aren't contemporaries to this movie proving that you can do fantastical superheroes in movies and succeed. It's what Marvel have spent the past 6 years doing. Hell, it's what everyone's doing these days - Sony's Amazing Spider-Man Films and Warner's Man of Steel might be a little more subdued than their wackier counterparts over at Marvel, but they still anything but 'lo-fi'. Hell, Fox's own X-Men movies are the exact same! 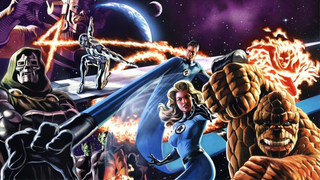 There's nothing about the Fantastic Four that wouldn't be done in any other Comic Book movie these days, and even if there was with this fear that audiences couldn't accept the overt fantastical nature of the Fantastic Four (it's in their name, god dammit), the evidence we have is anything but. Now more than ever mainstream audiences are willing to tolerate these crazy characters and their absurd worlds, and not just tolerate, but accept and enjoy - and they do that in droves. The highest-grossing film of the year has a goddamn talking Tree in it, for christ's sake. If the moviegoing audience can embrace that, they can embrace all the wonderful weirdness and fantasy of the FF gang. It's a very different world for the genre that took its first tentative steps to resurgence with Singer's X-Men and Raimi's Spider-Man. It's huge, dominating Film and TV. And part of that is down to creators being willing to highlight and nurture the outlandishness of these characters that are distinctly anything but Ultra-realistic. That's not to say that Comic book films should be devoid of realism or at least some level of seriousness - look at the way the Nolan Bat-trilogy grounds some of the inherent ridiculousness of a character like Batman. Not only was it the exact sort of approach that was right for the character, but it allowed the films a greater sense of contrast when they did delve into some of the more fantastical comic book ideas. By grounding the world around Bruce Wayne and his villains, they stood out that much more - as they should. They're people doing extraordinary things. They are the fantasy of that 'realistic' world. Maybe that's the approach The Fantastic Four will take - but the more we hear, the less it sounds like that, and the more it sounds like that age old fear thought quashed in this age of Superheroes out the wazoo at the box office: an inherent misunderstanding of these larger than life characters, framed through a misguided fear that audiences don't want to, or are incapable of, connecting with outlandish superheroes. In 2014, when several of the biggest movies of the year are about fantastical comic book characters. I thought we were over this sort of thing, movie makers. Apparently, and unfortunately, it seems that we were not.